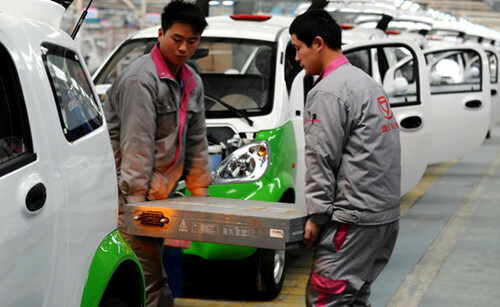 BEIJING - China's sales and production of new energy vehicles (NEVs) maintained fast growth in August amid government efforts to encourage their use, industry data showed Tuesday. NEV sales went up 49.5 percent year-on-year to 101,000 units last month, while production rose 39 percent to 99,000 units, the China Association of Automobile Manufacturers (CAAM) said in an online statement Tuesday. Sales of pure electric vehicles rose 31.7 percent year-on-year in August to 73,000 units while sales of plug-in hybrid vehicles soared more than 130 percent to 28,000 units, CAAM said. China has remained the world's largest NEV market for three consecutive years, with some 777,000 cars sold in 2017.